Quayside Seafood, Clarke Quay's only seafood restaurant by the iconic Singapore River | Mouthwatering seafood, magnificent view. 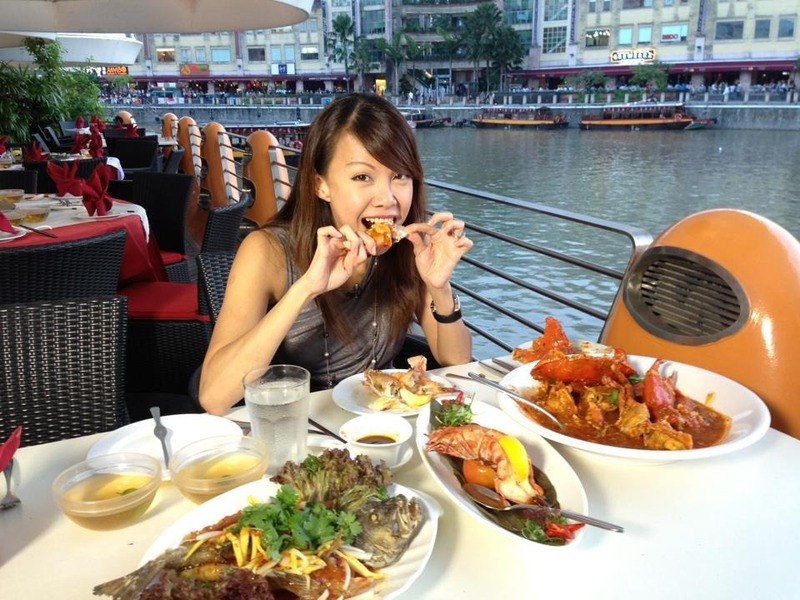 Found in the heart of one of Singapore's hottest dining and entertainment precincts, Clarke Quay, Quayside Seafood is probably the longest absolute riverfront restaurant space in Singapore! Dine al fresco on Singapore's first ever lilipad flooring with a stunning river view where you can literally dip your hands into the water! Serving Singapore's classic all-time favourites Chilli/Black pepper crabs using only 'live' juicy and succulent Sri Lankan crabs, Quayside Seafood offers a nice touch of modernity to its setting & service. Indulge in a wide range of seafood cuisine amidst the soft balmy air that surrounds the restaurant and be soothed by piped-in music as you relax and unwind to enjoy a tete-a-tete with family, friends and business associates. Watch our team of formidable Chefs amaze you with their remarkable culinary skills in their stunning outdoor theatre-kitchen as they whip up our highly acclaimed favourites like ‘Thai’ Tom Yum Seafood Soup, Claypot Prawns ‘Indonesian’ Style; Deep Fried Garoupa ‘Pattaya’ Style; Grilled Sambal Stingray, Stir-Fried Fresh Scallops with Dried Red Chilli; Grilled Butter Crayfish; Flamed Drunken Prawns; Succulent ‘Live’ Oysters and many more local classics! Then indulge yourself with our “DIE-DIE” MUST TRY highly recommended signature dishes eg the Fiery ‘LIVE’ Sri-Lankan Black Pepper or Chilli Crabs; Fragrant Salt & Pepper Calamari; Wok-Fried Jumbo Prawns with Chef’s Special Sauce; Lobster Sashimi; Wok-Fried Rice With Fresh Crabmeat and Hot-Plate Beef “Nonya’ Style. Those preferring an alternative to piscatorial delights, you can choose from our non-seafood options like Lemon Chicken; Fragrant Crispy Duck; Grilled Beef & Lobster Combo. Savour our fire-wok-fried buttery cereal prawns & seafood fried rice with The Pump Room's freshly brewed craft beer OR a plate of 1/2 dozen of satay while you dine along the iconic SG River! S$89.95++ for 2 guests. Promotion is valid from now to 31 December 2018. T&C apply. - SEAOOD FRIED RICE @ S$ 89.5++ for 2 GUESTS! WITH THE PURCHASE OF BOTH ITEMS WITH ONE SINGLE BILL/RECEIPT. Peony Jade boasts an uparalleled record of offering impeccable catering within the Quayside Dining Stable of Restaurants as well as creating a setting of memories right at your home or even your office! Our team of catering experts can turn the tables on glamour with wit and daring imagination. Staging a delightful and eye-catching setting, we give a special touch that turns simple functions into glamour events worth remembering. From theme parties to private dinners, boardroom luncheons and ambassadorial parties, you’ll be able to experience Peony Jade service and faultless cuisine that is a reflection of your fine taste and personality. Make your next event a success. Call us at 6338 0138/ 9633 9146.